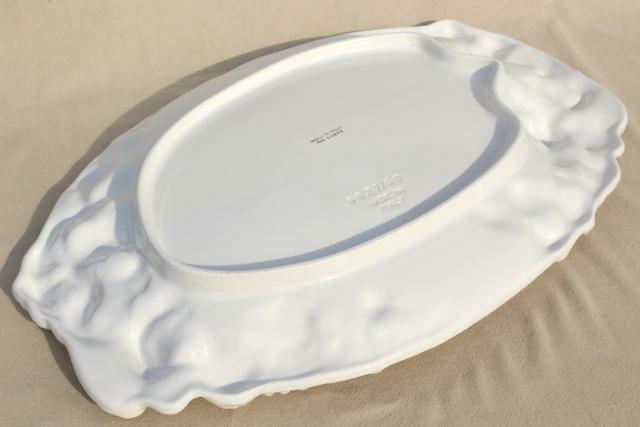 Vintage earthenware ceramic platter or serving tray, made in Italy for Gumps. 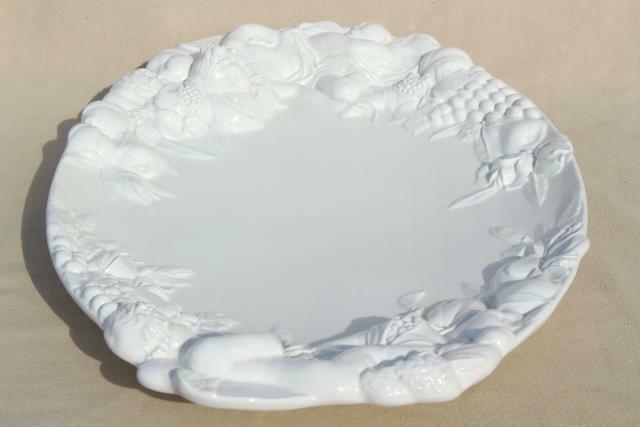 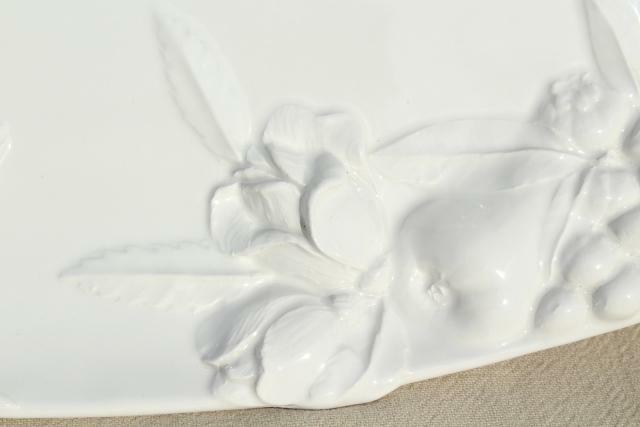 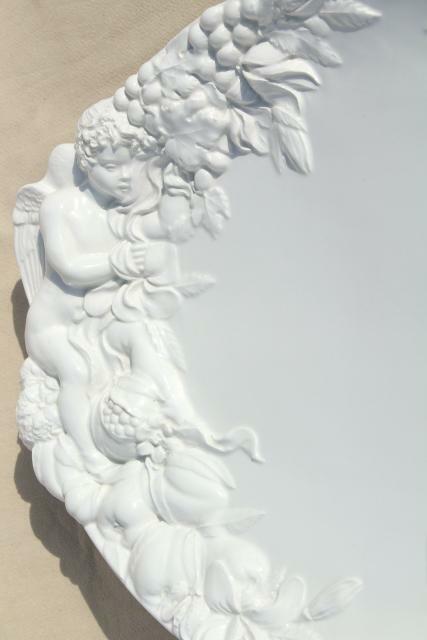 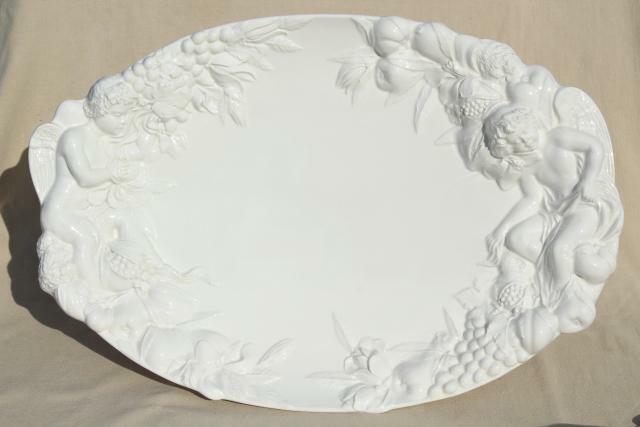 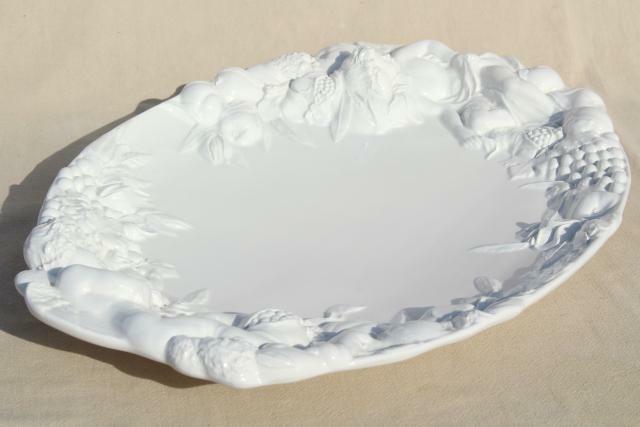 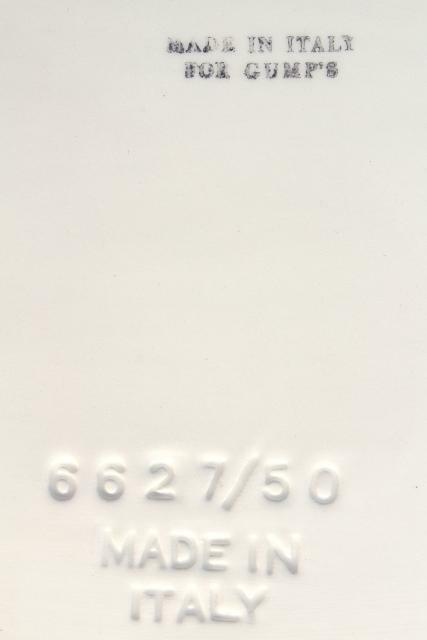 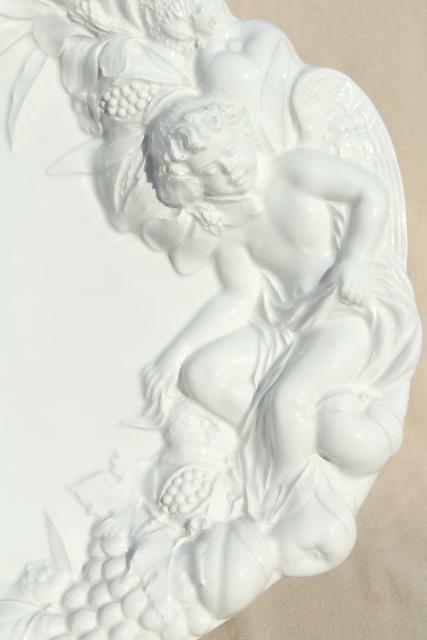 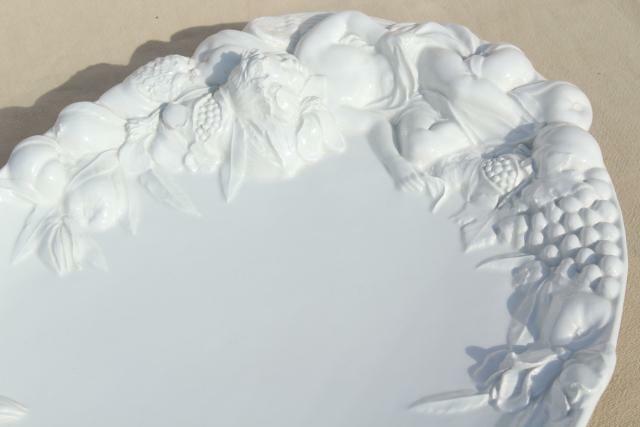 This is a lovely thing, with a classical cherubs design embossed border, glazed a glossy pure white. 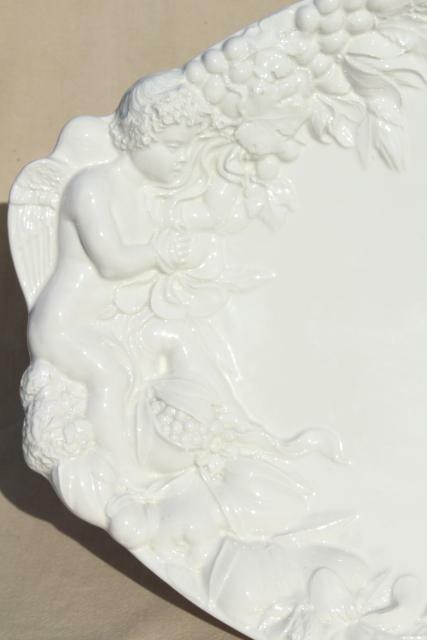 It measures about 20" x 14" overall, and is in excellent condition - barely if ever used.